I feel like this is the most important point. You have to learn to say no. You can’t always bring food and plan everything. Taking on every task offered to you is a surefire way to achieve holiday burnout. Not only are you going to be beyond exhausted, but can negatively impact your health. And before you even hit Christmas at that. Those who know you best will understand and those who don’t will get over it eventually. If you’re an introvert like me, you realise how important ‘alone time’ is. Yes this is the season to be surrounded by loved ones. However, there’s gonna be a point where those same people are going to become overbearing. At that point you’re going to need to make time for yourself. You can do it in small ways like going for a walk or putting aside extra time in the morning. It may seem insignificant. But I can assure you that peace and solace is going to come as a godsend. Especially if you’ve gone and going without break. During the busy season, we tend to let our health slip. This can be because we’re too busy to eat. Or even overeating and over-drinking because mom made her famous pie and wine. This can leave us feeling sluggish or even guilty. Which just adds onto the stress. To combat this and to be at your best, there’s just a couple of things to do. This includes eating healthy, eating controlled portions, plenty of sleep and moderate exercise. Another way to handle being stressed out is planning. I honestly swear by it, after years of running around like a chicken without its head. Planning can effectively reduce any needless worry in your life. You can start by doing your shopping online or even in November. 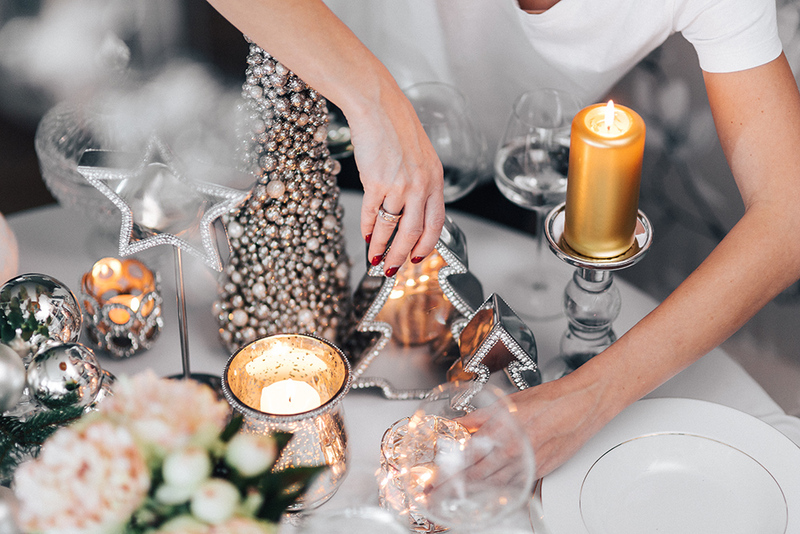 Give yourself enough time to plan that big Christmas party you look forward. Trust me, you don’t want to be in town on Christmas even trying to get your nephew that toy he wanted. All because you’ve been consumed with everything else. 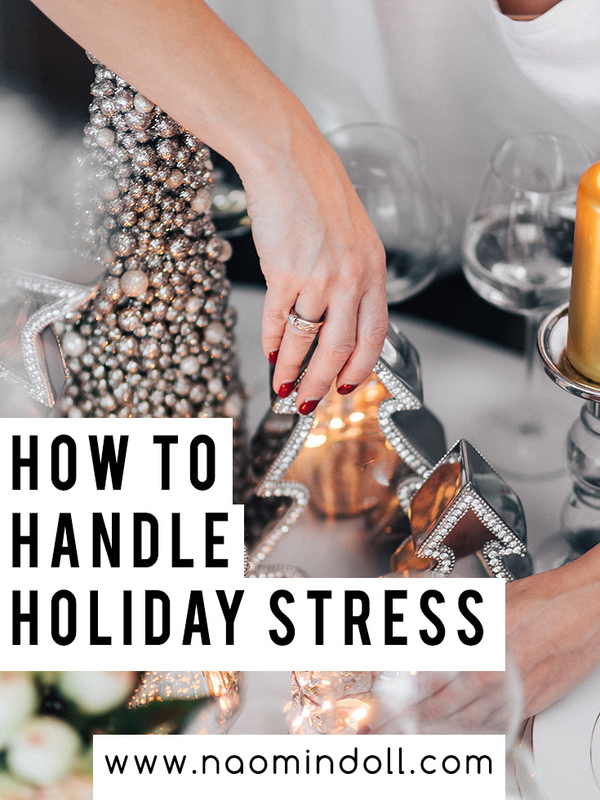 These are my tips to surviving the holidays and handling the stress associated with it. Let me know what you think. Furthermore, why not share how your handle holiday stress? Great tips. There is no rule you have to attend every holiday party either! Pick your spots and enjoy. Wishing you a wonderful holiday season! Thank you very much! And that is also very true. You don’t. Happy holidays to you too. Holiday stress is SO REAL! Everyone is so busy that I feel like no one stops to notice or talk about it! Great advice, I’ll need to take some of it myself! Thank you for commenting. I wished more people talk about this topic, even in every day life. Thank you very much 🙂 I always look forward to others’ feedback on my blog. The time to yourself tip is my favorite! Being with a lot of people can be overwhelming. It’s OKAY to retreat and be alone after. I usually have to mentally prepare myself to being around large groups of people. Sometimes it can leave me really drained. These are such great reminders! Learning to say no is such a hard thing, and I’m definitely not there yet. I feel such guilt when I say no, especially to family! But seeing someone else saying it’s important makes me feel a lot better about it! I’m glad that I could help. Yes it definitely gets difficult when saying no to family. Especially if you have relatives who like to guilt you for saying no. I work at the post office, I definitely need this. One thing that I find helpful is to postpone as much stuff as I can until after Christmas, like getting together with extended family. I salute you miss, I have so much respect for people that work in the postal industry. And that’s really helpful, especially if you have a large family. I love the “stay healthy” advice because it’s so easy to fall into the dessert trap during the holidays. Thank you for sharing! Oh me too. Especially since it’s the one time of the year where I get to pig out on rum/black cake. So I have to be mindful, stay healthy and moderation is key. I totally agree with your tips! So good! Saying “no” for me is sometimes so hard, but I’m learning. I so want to please others and don’t want to disappoint, but at the end of the day…there’s only so much we can do! Taking good care of yourself and planning ahead is key to less stress! It’s taken me so long to learn to say “no”. Heck I even sometimes I find myself slipping back into a waves of yes-es. And I only realise when I’m overwhelmed and look back to wonder ‘how did I get to this point”. Very true, for myself I always forget to drink water. I’ve only gotten into back into because I’ve been gyming recently. Thank you for sharing that with me. I appreciate it. These are great tips, especially the one about saying no. It’s so important to consider whether the request will bring you fulfillment while not overdoing it. Thanks for sharing. That’s so true. Sometimes you can fool yourself into thinking you’re getting the most out of a request when really you just don’t want to disappoint the individual. Thanks Gen, I’m glad you liked it. I was so sick and tired of feeling strung out during this time of year. So I figured why not share my own tips with you all. great info and great timing! I find the key is to say ‘no’ and not take on too much. Know your boundaries. Yes, it’s very true. Boundaries are everything. This couldn’t have come at the best time. I’m hosting Christmas Eve at my house and we just had Thanksgiving and it was pretty crazy. Thanks for the tips. Great post. I reduced my holiday stress by no longer comitting to the “do waaaay too much” to-do list. I now make time for myself to be still and quiet and enjoy the time off work. That’s great. It’s always good to take that time off just for yourself.